Nation branding--a set of ideas rooted in Western marketing--gained popularity in the post-communist world by promising a quick fix for the identity malaise of "transitional" societies. Since 1989, almost every country in Central and Eastern Europe has engaged in nation branding initiatives of varying scope and sophistication. 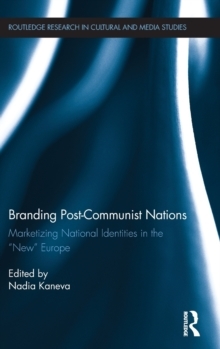 For the first time, this volume collects in one place studies that examine the practices and discourses of the nation branding undertaken in these countries. In addition to documenting various rebranding initiatives, these studies raise important questions about their political and cultural implications.